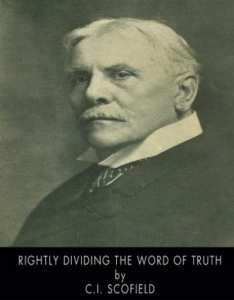 This important little book was first written by Scofield in 1885 while serving as pastor of the First Congregational Church of Dallas, TX, now the Scofield Memorial Church. A quick Google search of Scofield or this book will bring a multitude of opinions about both. At the time of writing, Scofield had been mentored by James H. Brookes and was fast becoming an early leading voice in dispensational premillennialism. Scofield became involved with the Niagara Bible Conference in 1888. He did not publish his reference Bible until 1909. I reread the book after many years and was again encouraged and blessed by its contents. I still find the book a good primer on dispensational understanding of the Bible, though all today realize that dispensationalism has grown and matured over the years.